Home / Gifts / Seasonal / Lent/Easter / That Grand Easter Day! That Grand Easter Day! is a cumulative story that begins with the stone in front of the tomb and ends with a new beginning–the Resurrection of Christ. The lively narrative builds as it progresses, adding people, objects, and animals that may have witnessed the events of that day long ago. 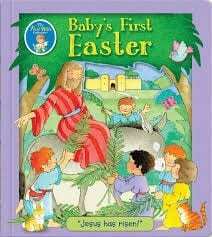 Little ones will love the repetition, which adds a pleasing level of predictability and helps to make the story of the first Easter more memorable. The upbeat, reverent story is accompanied by luminous illustrations which bring the story to life. 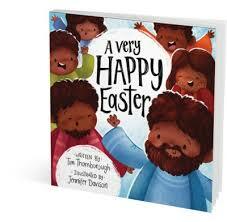 This engaging picture book will be a read-aloud favorite at Eastertime and throughout the year.